Mahadzir Lokman (left) and Ishak Nengah. 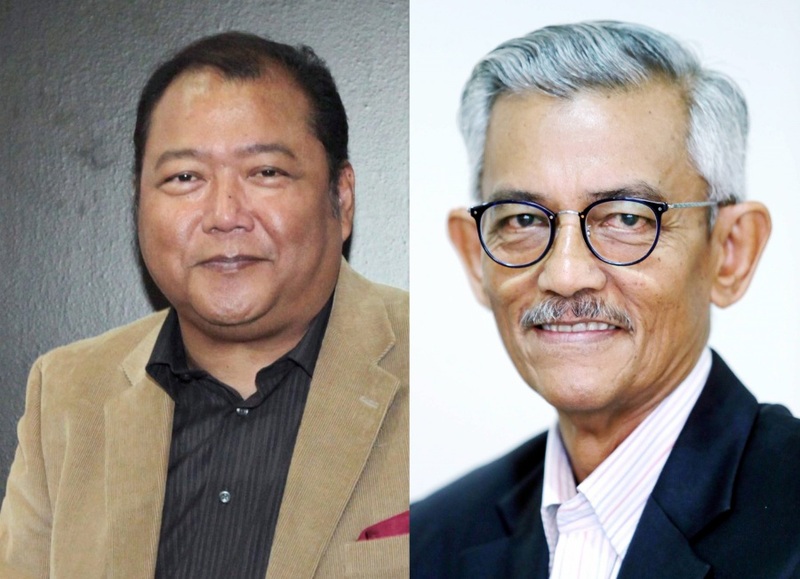 MAHADZIR Lokman and Ishak Nengah — both raised the bar in Malaysian emceeing. They were easily the best in the business, no disrespect to many others in the industry. From humble beginnings as newsmen and broadcast journalists, these two gentlemen stood out as icons and mentors in their own right. They brought versatility, style and a high degree of professionalism not widely seen in the industry before. VIPs listened attentively to them; fellow emcees learnt from them; and paymasters almost always came away from their events pleased and satisfied. Between the two of them, they moderated at some of the most important and prestigious events in the country. Alas, they are no more with us. Both have retreated backstage to a separate audience up in the heavens. Dari Allah kita datang, kepada Allah kita kembali (From Allah we came, to Allah we will return). Mahadzir, or Dale to many of his close friends, died on Aug 2 at the age of 61. He had a history of diabetes and high blood pressure. He died in Kota Kinabalu, Sabah, and was brought back to be buried next to his mother’s grave at the Bukit Kiara Muslim cemetery. His sister, Ida Neliaty, said it was Mahadzir’s wish to be buried next to his mother, whom he was very close to. He had always doted on her. Mahadzir would be at his mother’s side at every available opportunity. “Aku pun boleh buat apa yang dia buat (I, too, can do whatever he does),” said Mahadzir at one of the earlier Langkawi International and Maritime and Aerospace Exhibition (Lima) in the early 90s. I was with him watching the aerial display at the Langkawi airport. A foreign announcer was explaining the aerobatic manoeuvres done by several pilots much to the delight of the crowd. Mahadzir’s task was to do the same in Malay. Being a professional to the core, he spent many days before the event to gather as much information as possible before taking to the microphone. Explaining the aerial moves was a new experience for Mahadzir, but he did it with gusto, as if he had been doing it his entire life. It was a delight to see and hear him, then and always. Dale would always rise to the occasion, charming the audience by speaking in French, Spanish, Portuguese and Italian, besides the various local languages. The stage is less exciting without him now. Al-Fatehah for Allahyarham. Ishak, equally at home at weddings and major corporate events, was Mr Cool. Very composed, uncluttered and precise — Ishak was very much in demand too. His training as a journalist, which he started in 1972 with this newspaper, helped lay the foundation for him to emerge as a solid professional. Ishak also had a stint with the British Broadcasting Corporation in the early 80s. Ishak, 65, succumbed to nose cancer on Aug 6, just four days after Dale. Once he was told he had the big C, Ishak went about dealing with it systematically, with full determination. I asked Aishah Ali, Ishak’s wife, for a few quotes yesterday and she said: “I’ve lost a good friend, a devoted companion and an ideal soul mate. Ishak was everything a girl could ask for — good looking and intelligent and, yet, unassuming. He was a kampung boy from Bota Kanan, Perak, grounded with charming values of humility and generosity and never lost them. I received so many WhatsApp messages from people after his death and this only affirmed that he was really well-loved. “They praised Ishak’s professionalism as master of ceremony as well as a public relations manager. They recalled how his skilful emceeing had contributed to their events’ successes. “Another young man described Ishak’s generosity when he rented Ishak’s apartment. He said he was a young graduate then and had little money and Ishak waived the deposit. He even bought the young man some furniture and carried them to his fourth floor apartment. “Our three sons are also consoled by similar messages coming through their phones, painting a glowing image of their father. Hopefully, they will emulate his random acts of kindness. “Ishak had accepted his illness as God’s will. He said it drew him closer to Allah. He fought a long and painful battle with dignity. A trouper to the very end, he never once gave up and often joked with visitors and took selfies with each of them. His Facebook and Instagram postings showed him golfing, climbing hills and entertaining friends who visited him at home. One particular picture showed his beloved Volvo 122S and a 1964 Honda Cub 65CC, one of his many passions. In the remaining weeks of his productive and meaningful life, Ishak had streams of visitors to his house, showering him with attention and affection. Surely, Ishak was a much-loved individual. For many of us, that’s where Mahadzir and Ishak now reside.